Sony has revealed the free games PlayStation Plus subscribers will have a chance to tackle next month. Following a solid July headlined by Heavy Rain and Absolver, August will serve up the edgy open-world adventure Mafia III and the asymmetric multiplayer horror game, Dead by Daylight. This month, Sony is also offering the atmospheric PSVR horror game Here They Lie as a bonus. Check out a trailer for the new additions, below. Play as Lincoln Clay, a Vietnam vet who comes back home after years of combat. When his surrogate family is wiped out by the Italian Mafia, Lincoln builds a new family and blazes a path of military-grade revenge through the Mafioso responsible. A 4v1 horror game, in which one player takes on the role of the savage Killer, and the other four players play as Survivors, trying to escape the Killer and avoid being caught, tortured and killed. You can also play as famous movie murderers like Michael Myers, Freddie Krueger, and Leatherface! Experience the game where death is not a checkpoint. Explore a nightmarish city inhabited by strange, malevolent creatures in this first-person horror game, where unsettling encounters and environments come to life. PlayStation Plus is definitely picking up its game a bit this month. 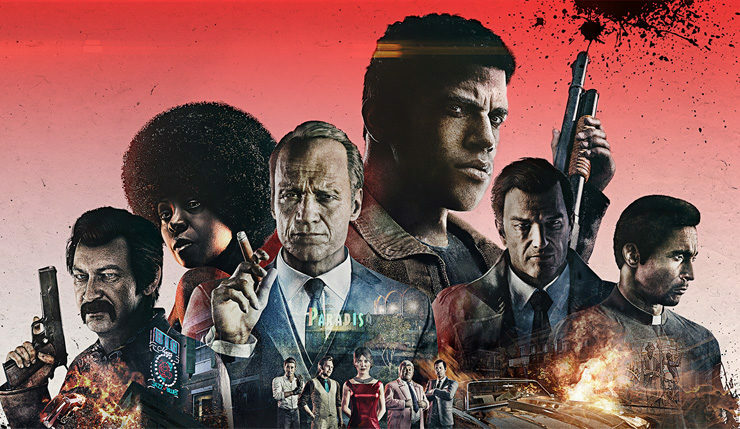 Mafia III was underappreciated when it was released back in 2016, and Dead by Daylight can be some gruesome fun if you’re playing with the right people. Oh, and by the way, Sony is also giving away the PlayLink title Knowledge is Power to PlayStation Plus subscribers from August 7 through to November 6, so make sure to grab that if you’re looking for some party game fun. What are your thoughts on August’s free PS Plus games? How do you think they compare to the Games With Gold lineup? Which game will you be tackling first?